If you are seeking 24-hour emergency locksmith services, KC Locksmith & Sons specializes in all types of locks and security services. For more than 40 years, we have provided our customers with high-quality, long-lasting solutions to keep them and their property safe. Do you need any of these services? We are available 24 hours daily. For those times you get jammed out, break your key in the lock or lose it, our locksmiths are available to sort your issues. KC Locksmiths & Sons can supply high security door and window locks, including office furniture, safes or warehouse security locks. Invest in quality security doors, windows or wireless key systems to keep intruders out. Our locksmiths in Worthing can install alarm systems to alert you in case of emergency. Do you have any faulty locks or are you considering renovating your window and door handles? Choose a reliable service in Worthing to repair it. Many times, windows have proven to be the main entry point for burglars and intruders. Secure your property by installing impenetrable security window locks. If you need to make more copies of your keys for family members, staff, tenants or service men, Worthing locksmiths can do so in minutes. Why Choose KC Locksmiths & Sons, Worthing? Because we are one of the top security businesses in Worthing, our practice is highly recommended by our clients. A significant part of our business comes from referrals by customers who are pleased with the quality of service we offer. We have longstanding experience borne fromOVER 40 YEARS OF PRACTICE. Trust us, we know a thing or two about security, and we can help you sleep comfortably at night. Our locksmiths in Worthing are not only PROFESSIONALS,but they are also friendly. You will enjoy EXCELLENT CUSTOMER SERVICE. KC Locksmiths & Sons has a RAPID RESPONSE SERVICE that ensures a locksmith will be at your doorstep within 30 minutes of your call. We are endorsed by the POLICE, so you can rely on our locksmiths for quality protection. We charge NO VATon purchases - for a limited period only, you will pay no VAT on your purchases. Our security hardware is among the BEST in the industry. Whether it’s to supply high security doors, window locks, CCTV or alarm systems, you can rely on KC Locksmiths & Sons to deliver first-rate equipment at AFFORDABLE prices. At K C Worthing Locksmiths we bring you the benefit of over 40 years experience working as fully qualified Worthing Locksmiths. KC Locksmiths & Sons in Worthing is a family-run business; we are friendly and keep our products affordable. We guarantee 100% safety at all our work premises. Our locksmiths in Worthing deliver a customer-focused approach so you don’t experience any inconvenience while they work. Call our locksmiths in Worthing for emergencies; we are available 24 hours, 7 days a week. AT KC LOCKSMITHS & SONS, WE DELIVER WORLD CLASS SECURITY BACKED BY MORE THAN 40 YEARS OF EXPERIENCE; WE COMBINE PROFESSIONALISM AND EXCELLENT CUSTOMER SERVICE TO HELP YOU SLEEP MORE COMFORTABLY AT NIGHT. You don’t have to take our word for it, here’s what some of them are saying about us. I manage security for a major retail store in Worthing, and like to keep the inventory safe. Last month we hired KC Locksmiths & Sons to install wireless keylocks and CCTV systems for our warehouse. Today, our security is automated and we feel a lot safer. I recently moved into a new home and had to change all the locks, someone suggested I call KC Locksmiths & Sons, so I did. Best decision ever. Fully Equipped With The Latest Security Technology In Worthing - We stay ahead by stocking our business with state-of-the-art technology. Our vehicles contain top security hardware wherever we work, and they are available at very competitive rates. This means that we are equipped to finish any task on our first trip. It is advisable to work with professionals who have all their gear in place instead of going back and forth to restock. Unlike other locksmiths who may charge you call-outs on each trip to and fro, KC Locksmiths & Sons has everything ready and gets the job done in one go. We invest in our locksmiths - The domestic security industry continues to evolve. 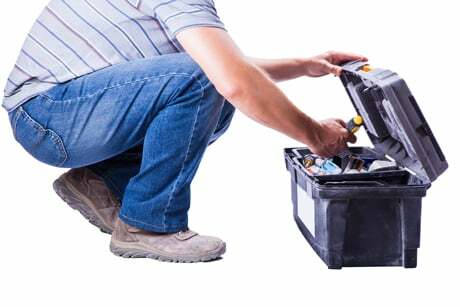 We ensure our locksmiths are current with the latest techniques and tools by training them continuously to increase their knowledge, skills and expertise. We have 40 years of experience behind us and we are looking to add 40 more. Friendly Customer Service - As a family-run business, we strive to keep things homely, affordable and sincere. Our customer-focused service is guaranteed to provide convenience. Competitive Prices - We pride ourselves in our ability to keep rates within an affordable cost range for customers while staying competitive in the marketplace. We don’t charge for call-outs, our quotations are transparent and our fees are flat. For a limited period, customers are entitled to zero VAT charge. Special Service - Our business is dedicated to providing complete service, including offering rebates where necessary. We offer discounted packages for age pensioners, crime victims and students. Whatever the situation, Worthing Locksmiths have got you sorted. Authentic Tradesmen - It’s not unusual to be concerned about the legitimacy of the tradesmen you let into your home. In fact, as a security firm, we urge you to be cautious, because many technicians are not who they claim to be. You don’t want to trust a stranger to install your door locks, office safe or alarm systems. However, at KC Locksmiths & Sons, we have been vetted and ENDORSED by the POLICE. Free Quotes and Estimates - We deliver a 24-hour 7-day free quote and estimate service. No obligations are necessary. Give us a call at any time and get a consultation from an expert. Our locksmith practice operates out of Worthing, and we cover the surrounding areas as well. We serve East in New Haven, Peacehaven, Lewis and even up to Seaford and Eastbourne. We also attend to clients in Brighton & Hove, Shoreham-by-Sea, Littlehampton, Rustington, up to Bognor Regis and Chichester. KC Locksmiths & Sons also travel to London, reaching Burgess Hill, Haywards Heath, Washington, Horsham and Crawley. In Worthing, our rapid response policy ensures Locksmiths get to you between 30 minutes to an hour. But if you are farther away, it may take longer. Don’t worry; rest assured that we will be at your doorstep as soon as we can. Our clients have varying security needs, so our fees are not standard for every job. Nevertheless, we guarantee you the most competitive rates in the market. What’s more, our quotes are straightforward and there are no hidden charges. We have a lot of satisfied customers and continue to get referrals from them. This is because our services are fair and sincere. We can give you an outright quote over the phone, but for major jobs that require initial survey, a locksmith will go to your property for a detailed assessment and quotation. We do more than install and repair locks. Our Worthing locksmiths are available for consultation services to help our clients feel safe and secure in their homes. They give security advice for office premises, including CCTV installation and cutting-edge technology for doors and vehicle fleets. To know more about our services, contact one of our security professionals via our online form or give us a call on 01903 337 256. The world continues to evolve with new technology, and if you don’t get with the times, burglars with more sophisticated tools can breach your home or office security. Many homes in Worthing are still stuck in the past with outdated security systems such as old key locks and transponders. At KC Locksmiths & Sons, we aim to equip every home or office with the latest security systems so that you can stay safe and protected at all times. We have advanced equipment such as sensor alarm systems, commercial shutters, double-strength doors and remote controlled garage systems. Being burgled is not a nice experience, and in some cases, it leaves traumatic memories. Don’t wait until it is too late to update your security system. In the event of a break-in or emergency, our locksmiths are available on a helpline. But we can deliver preventative measures to stop it from getting there. As an organisation committed to fairness and social causes, we offer discounted rates to students, pensioners and crime victims. Call us today and we will attend to you within a few minutes. You can’t go wrong with an organisation that has been providing excellent services for more than 4 decades. We ought to be doing many things right to have lasted so long. KC Locksmiths & Sons offer quick response, guaranteed work standards and high-quality security ware. We are the one reliable service in Worthing. The world is full of opportunists waiting to take advantage of a security breach. You wouldn’t want to trust a bank without a vault, so why leave your security to amateurs? By using cheap and unreliable security ware, you could be inviting thieves to your home. Did you know studies have shown that most domestic thieves in the UK are opportunists? These people go from home to home trying out for inferior locks or poorly designed doors and windows. They are not even professional, so it hurts twice as much to know you could have avoided it by investing in better security locks. The good news about unprofessional burglars is that an effective, yet inexpensive lock is enough to keep them away. Worthing 24 Hour Locksmiths - For all Your Home Security Needs. We are a full-service locksmithing company, successfully and efficiently servicing the entire Worthing area. Are you Locked out? Lost keys, broken locks and burglary/theft as well as other emergency events, always seem to happen when we are least expecting it. KC Worthing Locksmiths can help with all Locks, Doors and Security systems in addition to offering some of the most competitive prices in town. Our dedication to service quality and customer satisfaction has helped KC Worthing Locksmiths build a strong reputation as a trusted provider of locksmithing services in the area. It is an ongoing mission for us to maintain and continue to increase our reputation through the delivery of one of the best locksmithing services in the borough of Worthing. Our locksmiths in West Sussex and the Worthing area offer key cutting for residential buildings, automobiles, and office building. If you want spare keys or an extra set in case of emergency, our cutting services use codes available on the locks and keys to replicate them. Our digital key cutting machines use computerised technology to control precision and fit. Our service is inexpensive, fast and convenient - your original key will remain intact. KC Locksmiths & Sons use high precision tools to combine traditional and modern locksmith techniques to replicate keys fit for residential and office security systems. There are various key types, from replacement transponder keys, cylindrical keys and our high technology security combination locks. Some of our durable key brands include ASSA, Yale, Chubb and Abloy. Our Worthing Locksmiths provide transponder keys for various car models. We use a fine combination of technology and skill. ‘To prevent “lock bumping” and cylinder snapping, ‘diamond approved’ or ‘SS312’ cylinder locks and key units are made of the top-quality materials. It is essential for all cylinder lock systems to have the authentic 3-star “kite-mark” brand - the mark of true strength and durability in manufacturing. 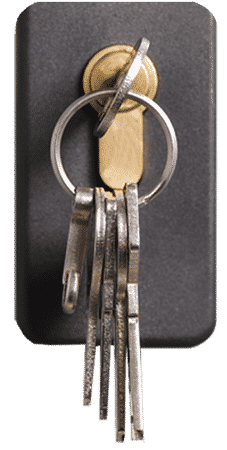 Trust Worthing Locksmiths to deliver when you hire them - our computerised precision key cutting tools take the key codes and design more copies of stronger keys and locks. In Need of a 24-Hour Locksmith Service in Worthing? If you are looking for 24-hour emergency locksmith services, KC Worthing Locksmiths are your ideal security team. We are specialists in all types of building security systems; from fixing door and window bolts to installing burglar alarms and other security devices around your premises. We also provide safe lock keys, key cutting, and enable non-destructive entry for people who are locked out of their home or offices. For four decades, KC Worthing Locksmiths have been providing high-quality, sturdy security solutions to keep people and their property safe. Want a 24-hour Lock-out Solution? Getting locked out can be a bother; we know how annoying it can be. Locking your key inside could make you miss that important meeting or flight. But it doesn’t have to be so, with a 24-hour locksmith, we can literally save the day. Our rapid response policy ensures a locksmith arrives in time to resolve your problem. You don’t even have to break down your door. So, the next time you are locked out, irrespective of the time of day, think KC Worthing Locksmiths. How About Supplying or Fitting Locks? With developing technology, new door and window locks are making it harder for burglars and thieves to break into a home. Some good examples include Yale, Chubb, Kwikset and Mul-T-lock systems. However, if you don’t know the specific bolts or window locks to buy, you risk installing a cheap, easily-picked kind. By contacting an expert, you are assured of the right security locks for your home. Our locksmiths supply durable locks and bolts to builders and property owners. Whether you need a high-security door or an impenetrable office safe lock, we are here for you. Do You Have a Locked and Secure Home or Office? We advise you invest in a quality burglar alarm or security device for both home and office. These days, burglars take advantage of the fact that not many people install these devices. An alarm system will have the police or security guards at your home when there is a break in. KC Worthing Locksmiths make it easy by providing wireless transponder keys to keep intruders out. We also install CCTV cameras and electronic alarm systems to alert you when someone unauthorised enters the building. Our locksmiths can create an optimally secure building for you and the occupants. Safes are also a vital feature of any office. If you have valuables, you’ll need a locksmith for safes and special safe lock keys. We can give your office the comprehensive security it needs. Do Your Doors Need Lock Installations or Repairs? If your door handles are faulty, they need to be replaced. Damaged locks are like an open door allowing intruders to enter a building. When locks need to be replaced, it is advisable to call a professional locksmith. At KC Worthing Locksmiths, our 24-hour service makes it easy. So, if you had to break a lock to gain entry, you can rest assured a member of the team will be available to fix it. For new builds and property renovations getting quality locks fitted is just as important. We don’t only repair broken locks, we also supply and install in large quantities. The following locks are available at our store; Jimmy Proof deadbolts, rim locks, time locks, lever handle locks, protector lock, Chubb locks and more. Our clients vary from builders to commercial premises and regular home-owners. Are you looking for a reliable locksmith? Contact us today. Have You Checked Your Window Locks Lately? Many people fail to realise windows are just as effective access points for burglars as doors. Perhaps a window is easier because most doors are in areas of the home easily seen. It is always a good idea to check your window lock’s security status. If they are inadequate, contact a trusted locksmith. KC Worthing Locksmiths advise owners to change the locks when you take on a new home for security reasons. Many homes have been broken into by previous owners who kept the keys. Consider our uPVC windows and locks, reliable cam locks, rim mortise locks, and electronic locks which make break-ins almost impossible. Are You in Need of Key Cutting Services? There are many reasons to make extra copies of your building’s keys. Maybe you are a landlord with new tenants or a large household with multiple occupants? Whichever is the case you need to work with trusted locksmiths otherwise it could backfire. KC Worthing Locksmiths have the backing of the local police, so you assured of dealing with a credible business. We have a wide range of models and designs in our key cutting service. For cars, we have transponder keys, replacement keys and keyless entry for your convenience. You could decide to have multiple car keys for security reasons. Whatever your choice, you won’t go wrong with us. Want the Strongest Padlocks, Child Safety Lock or Combination Locks? When installing locks for our clients in Worthing, we leave nothing for granted. Our professional locksmiths look for the strongest most reliable locks. The following brands stand out in the industry. We don’t just install for high-security purposes, but also, for long-lasting quality. Why Choose KC Worthing Locksmiths? With over 40 years in the security business, we can guarantee our expertise is second to none in Worthing. We have everything for home and office security covered. The customer experience is just as important as the job itself. In addition to the quality service we offer, we are always friendly towards our clients. Our service is unmatched. In emergency situations, you can rely on us. We always have a team ready to attend to customer calls. Wherever you are in Worthing, a locksmith will be at your doorstep within 30 minutes of your call. Not every locksmith is as reliable as they claim. You don’t want to leave your security in the hands of questionable services. KC Worthing Locksmiths have the endorsement of the local police so you can rely on our credibility. Our commitment to excellence means we are sticklers for quality. In our bid to continue offering quality products for our clients, we only do business with the best suppliers in the industry. The result - lasting products at a cost-effective price. Are you in need of a Locksmith in Worthing? Do you have concerns about your home or office security? Worry no more - our locksmiths have secured many properties in the borough of Worthing, Durrington, Tarring, Cissbury Ring and the surrounding BN11, BN12, BN13, BN14, BN99 areas, we guarantee yours will be no different. Whether you want new door locks, window fittings or wish to repair your existing ones, we guarantee total satisfaction. Call 01903 337 256 to request a free quote now.